Christine Hoock takes part in the Recording of “Silver Eyed Soul”, composed by Gloria Coates. It is part of the album “At Midnight”, published by the label Tzadik. 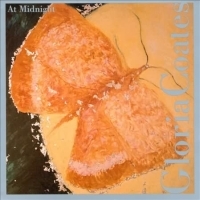 Born in Wisconsin and a resident of Germany since 1969, Gloria Coates has been composing for over fifty years. Her work is complex, filled with canons, palindromes, polyrhythms, dissonances, glissandi and is distinguished by a wide expressive and emotional range. Her first CD on Tzadik presents a varied program of music for solo piano, a string quartet, her exciting violin concerto, a piece for bass and piano and a fabulous piece for two tuning guitars. An historic release by one of the world’s most courageous and original musical pioneers!